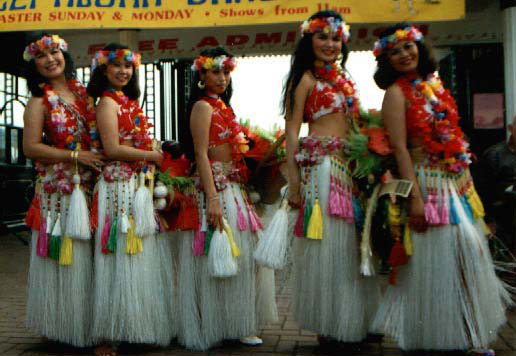 Polynesian dance troupe whose colourful grass-skirted routines include traditional Tahitian and Hawaiian hula dances. For many the Polynesian Islands summon up the most idyllic of tropical images, one which would not be complete without the inclusion of lovely Hula girl dancers! The Hula Girls are the leading Polynesian Dance Company based in the UK today and it’s not hard to see why. 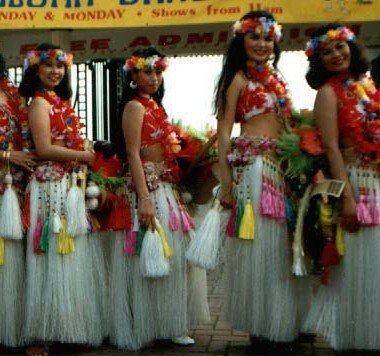 With colourful traditional Tahitian and Hawaiian grass-skirted routines, their widely appealing show includes a lot of fun audience participation, and has received popular acclaim in cabaret appearances, festivals, receptions and promotional events across Europe. A vibrant, sunsoaked performance that will transport you to the south seas.